Flex Films || Global Presence || UAE - The Perfect Solution for Flexible Packaging Converters! We will continue to leverage bespoke innovation to the best advantage of our clients, consistently improving the quality and efficiency of our products and processes. This coupled with an unrivaled speed to market reach and a pledge to serve nothing short of the best will help us foster a culture of operational excellence. Mr. Debanjan Pati is an Engineer by education with over 27 years of professional experience spread across industries & functional domains. 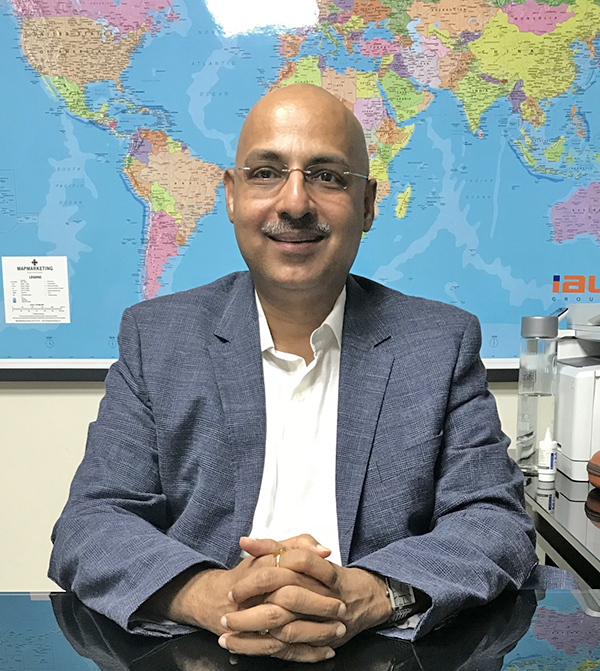 Having proven his invaluable contribution at various levels in varied organizations, he took over the reins of Flex Middle East, Dubai in early 2016. Flex Middle East caters to markets across GCC, Europe, Russia & CIS region. Owing to his multi-geographical exposure Mr. Pati has immensely contributed towards effective implementation of business strategy in these regions. Mr. Pati has had exceptional exposure in the fields of Production Quality Management and Cost Optimization, which is quintessential for an industry as competitive as polymeric film manufacturing. His transition from technical field to global sales helped him develop keen interest and capabilities in formulating successful customer service strategies. Driving innovation and consistency of delivery in all aspects has been Mr. Pati’s passion. This is precisely how he has gained expertise in TQM principles and building culture that is conscious of 'quality in every action'. Every business has its own cycle of crests and troughs. Packaging films business is no exception. Having spent almost 22 years in a global set-up, Mr. Pati witnessed and tided over such vagaries on multiple occasions. Every such opportunity gave him the chance to prove his mettle by developing and implementing effective turn-around strategies. Mr. Pati is known for his team building and cohesion infusing abilities that has become a strong pivot for Flex Middle East in its collective pursuit of earning an irreproachable reputation as a ‘premium packaging film supplier’ in the regions served. In his current role, Mr. Pati is Heading Flex Middle East, Dubai. 6.7 meter wide Biaxially Oriented Polyethylene Terephthalate (BOPET) Film Line with a capacity of 22,000 TPA installed in 2005 under Phase 1. 8.7 meter wide Biaxially Oriented Polyethylene Terephthalate (BOPET) Film Line with a capacity of 30,000 TPA commissioned in 2007 under Phase 2. 2.5 meter wide plasma enhanced State-of-the-Art high-barrier metallizer with a capacity of 4,800 TPA. Address: Post Box 17930, Jebel Ali Free Zone Dubai, U.A.E.